Of course you probably know by now that there are a lot of technicalities associated with wall mounting a TV. You are probably at a decision cross point on what TV mounting service will do the job to your own specifications without charging an arm and a leg. Getting the best TV installer to handle the TV mounting project for you can be quite a task of its own and that’s why we are here to help out. Read on to see why you should use our TV mounting service in Charlotte. If you’re looking for the best hands in the Charlotte NC area, then we’re just the right people. Having provided the best professional TV mounting service for numerous customers in Charlotte NC and its surrounding areas over the past 14 years, you are guaranteed that our experience is undoubted. Our reviews tell it all. 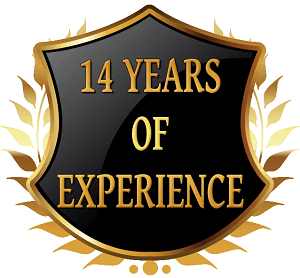 The history of our business can be traced to as far back as 2004 when our firm was set up with the sole objective to fill in the void of professionalism and expertise when it comes to television mounting and other related installations. Overtime, we realized that when we provide the wall mounts our self, the TV installation process becomes easy and seamless, while you save time and money. We were the first to provide a free mount with every installation and introduce the $99 TV mounting service to customers. Our marketing approach was so unique and catchy that we often received phone calls from all over the United States due to our popularity on Google Search. Local and national companies have constantly tried without success to adopt our method of providing TV wall mounts for customers. Their attempts to take over our market have been unsuccessful because of the uniqueness we bring to the table in this style. Communication and access to your installer is the number one reason why you should use our TV mounting service in Charlotte. Most national TV companies use a customer service rep to communicate directly to the customer. The customer service rep usually has limited training in the TV mounting industry, therefore has limited knowledge about your personal TV installation. The customer service rep usually assigns your TV mounting job to the lowest bidding installer to save the company as much money as possible and try to add to their own commissions if it is an incentive-based system. Therefore, you receive poor customer service along with an amateur installer. I have visited more than 5 customers in the past month who have rescheduled 3 or 4 times with different installers after trying to use a national TV mounting service in the Charlotte area. We stay directly in connection with you from your first phone call. This way, you don’t have to worry about a handyman or service person showing up without knowing your specific needs and coming with wrong equipment or hardware. You never have to worry about not being able to locate your TV installer after the service in case you have issues with the installation, need another TV mounted or want to swap the TV out for another one. Too busy to talk at the moment? The TV Mount Charlotte app gives you the information you want without having to speak to someone on the phone. Simplification and ease of access is why you should use our TV mounting service in Charlotte. The TV Mount Charlotte app is available in the Google Play Store and the iOS Apple iTunes Store. The TV Mount Charlotte App gives you instant access to reviews, quotes, and even Do-It-Yourself tips for wall mounting your own TV if you have the correct tools. Our Instant TV Mounting Quote Chart gives you lightning fast access to all of our major TV mounting and wire concealing services. It breaks down TV size, location, type of TV wall mount, and type of wire concealing desired. Our new chat bot grabs you by the hand and takes immediate control of confused visitors to help you make a quick decision and navigate through our site or app. Free tilting or full motion wall mount with every installation. Low prices and friendly customer service. 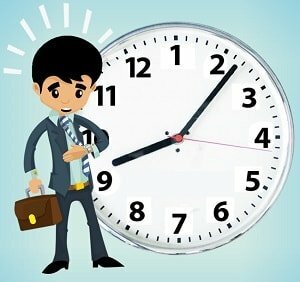 Overtime, we have learned from new customers who complain about having to reschedule several times with other companies before finally scheduling for our services. The former handyman may be from a national TV mounting company and showed up looking unprofessional with the wrong mount or even without a mount at all because there was no proper communication. We have even heard of one TV installer showing up in a business suit, unprepared for the job at hand. We have taken a different approach from others by providing the TV mounting quote you need in an easy to understand chart and then creating an efficient communication line with the customer so that we properly understand the customer’s need and how to go about solving it. We dispatch trucks and vans that are fully stocked with TV wall mounts, cables, shelves, anchors and all other accessories so that if you have a last minute furniture delivery or change of mind, we have enough accessories to easily accommodate your new choice. 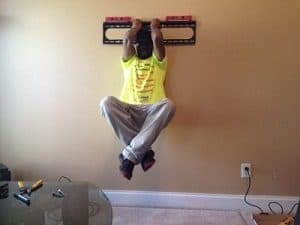 Our no-fall guarantee and professional service technicians place us as a top choice for TV wall mounting in Charlotte NC and its surrounding area. Finding us online is easy because our social media accounts are always active and flexible enough to take your requests and feedback at all times.